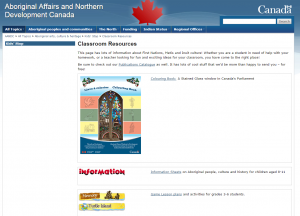 Being a teacher of small children I wanted to check out what was being offered to Canadian teachers to help them include native studies in their classroom. Usually, government websites are confusing and not that helpful but I found this site to be a refreshing change. 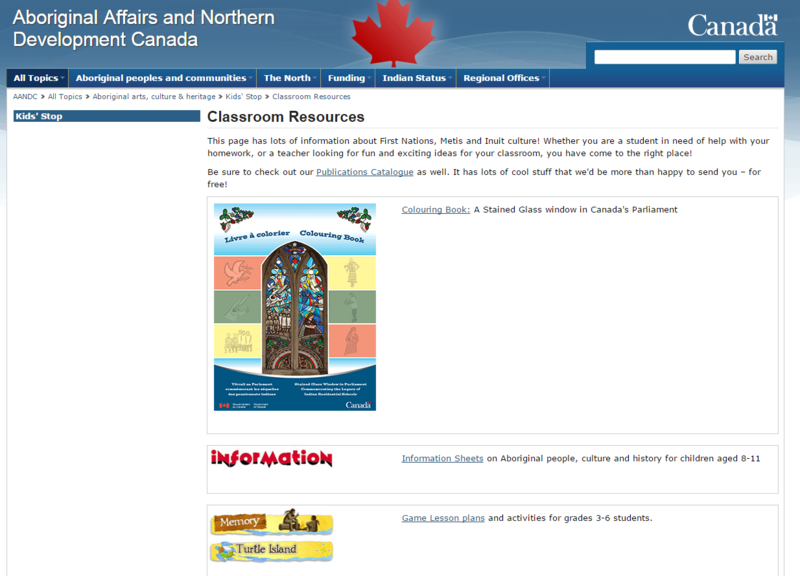 It includes lessons for children at all levels and I feel that, as a teacher, I would like to introduce into my classroom to ensure that my students have experience with at least the basics of native culture in Canada. I thought that the lessons were well thought out and constructed and children would find them a solid first step in understanding one of the important cultures that formed what we now call Canada. I personally downloaded the PDFs to use in my own classroom. In an effort to begin looking into Urban Indigeneity, I have included here a handful of links to online resources I have come across so far. I hope to find more resources with deeper exploration of the topic, and I will add them as I do.